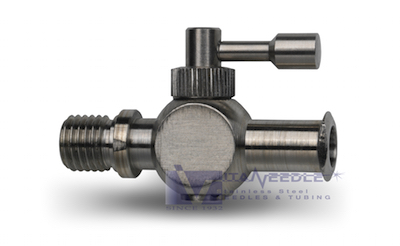 The Luer lock system of joining needles to syringes has been in use for generations. 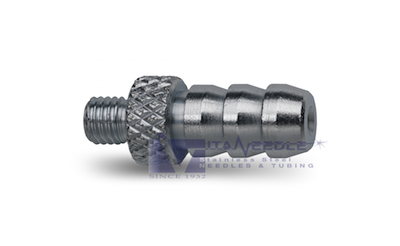 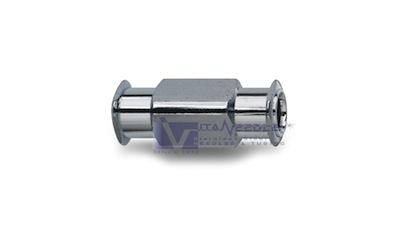 Growing from the original application of a metal fitting attached to a glass syringe, male Luer Lock adapters allow this connection system to be used in a myriad of applications. 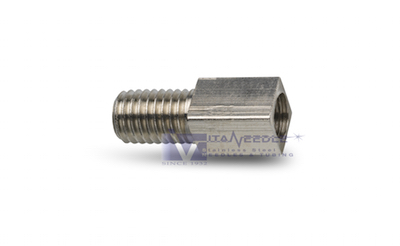 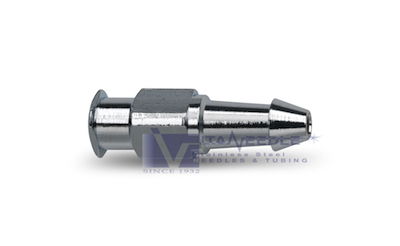 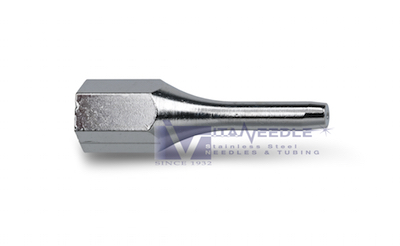 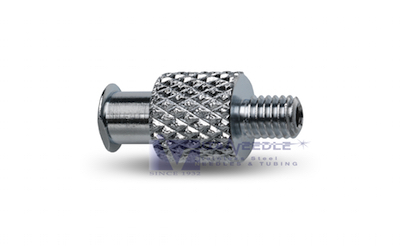 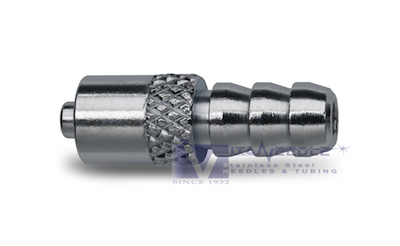 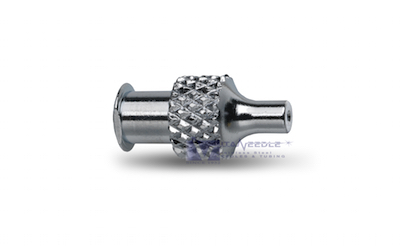 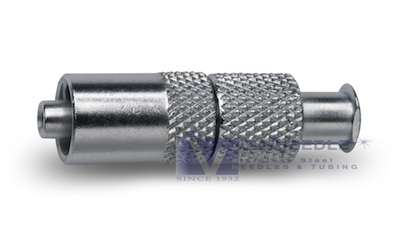 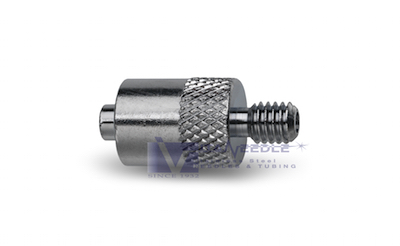 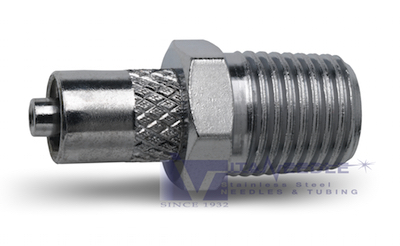 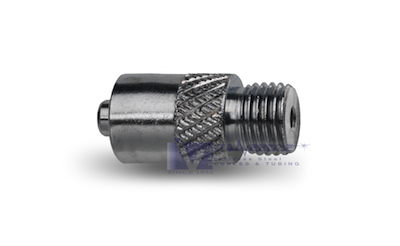 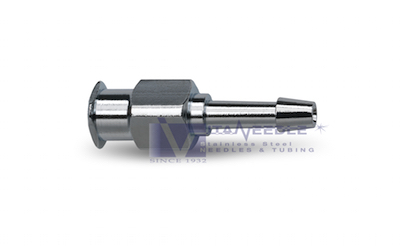 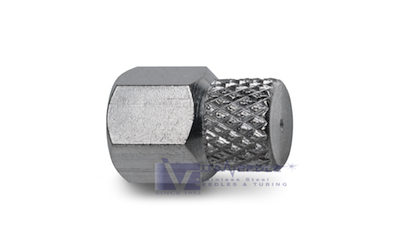 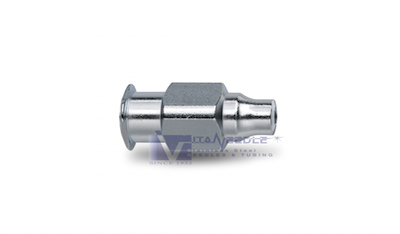 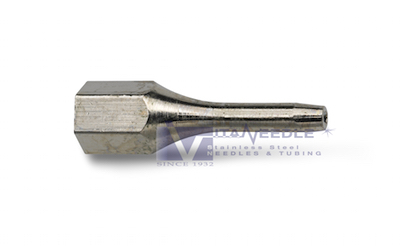 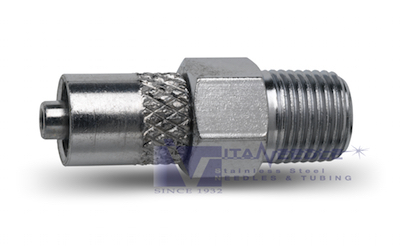 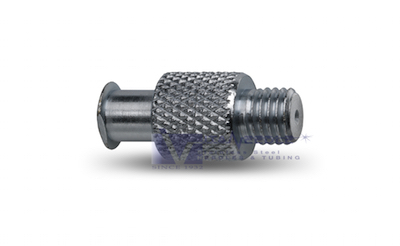 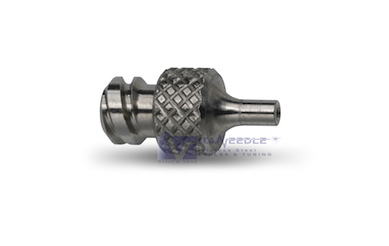 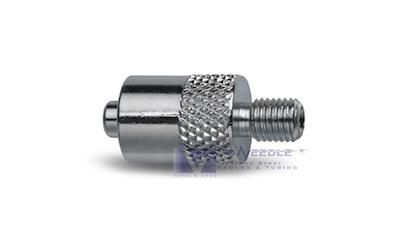 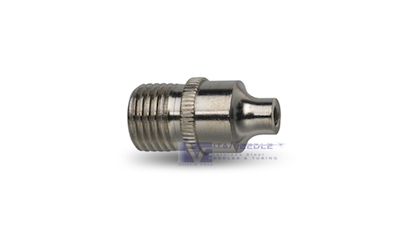 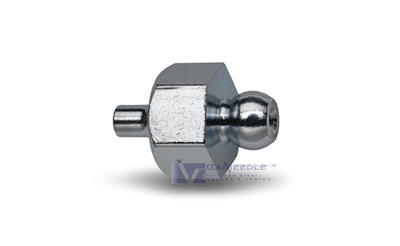 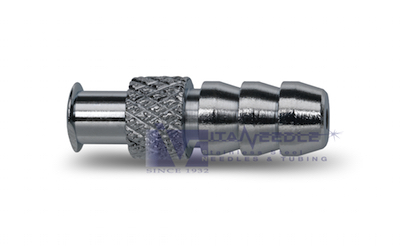 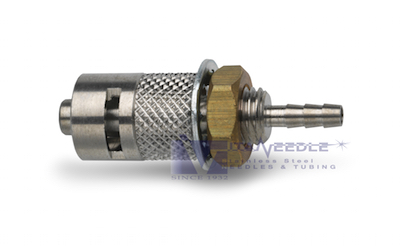 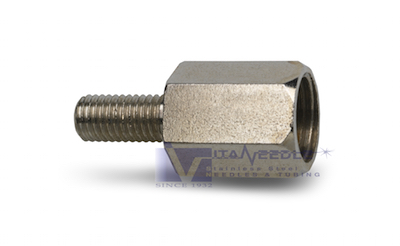 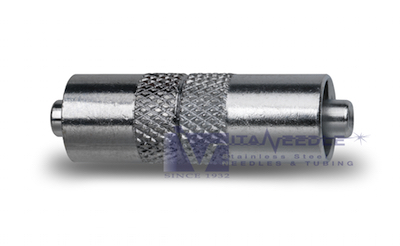 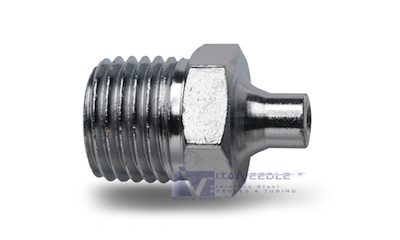 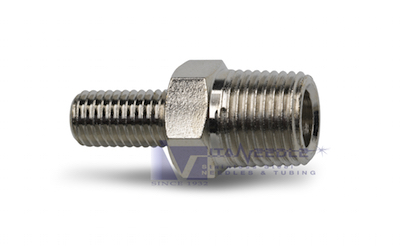 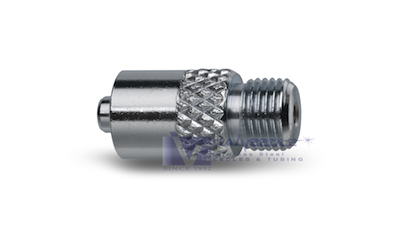 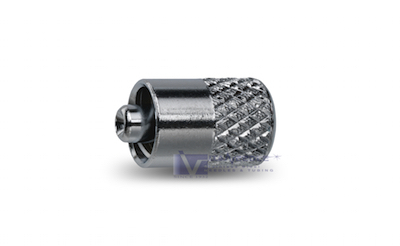 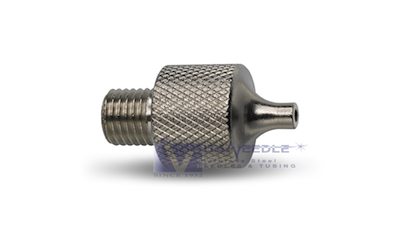 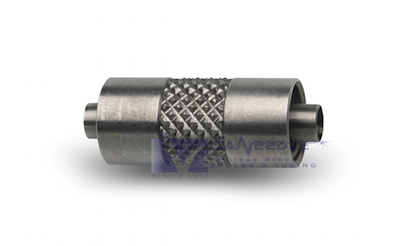 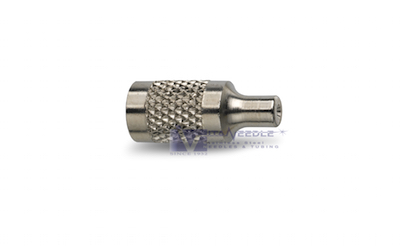 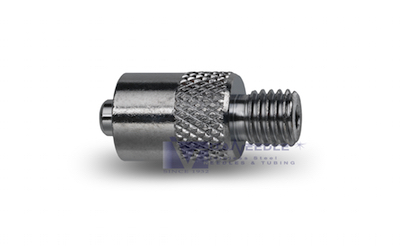 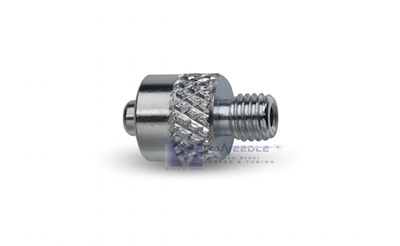 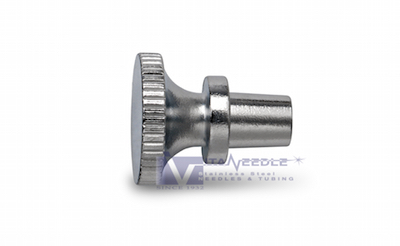 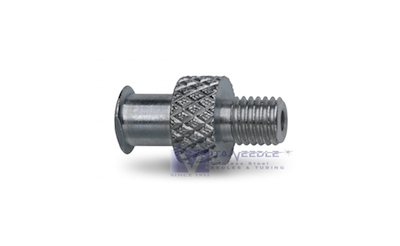 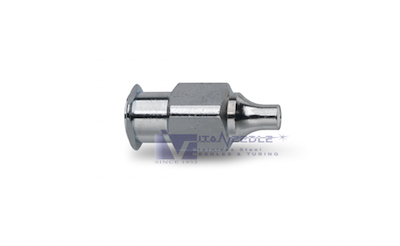 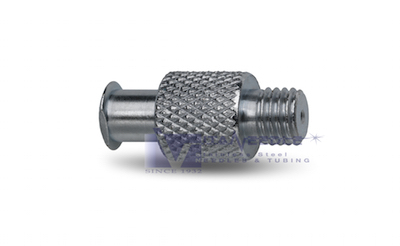 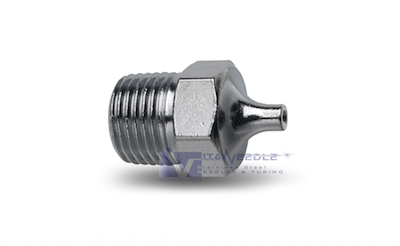 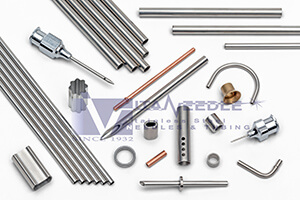 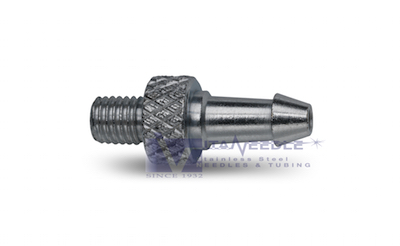 Vita Needle Company has proprietary technology which permits plated brass adapters to be produced far more economically than conventional, single point machining. 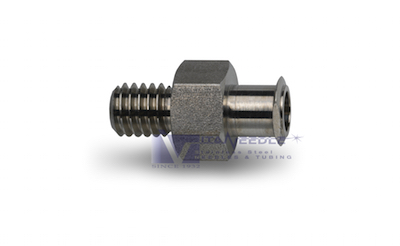 Because the Luer Lock system specifications are so demanding, very few producers without the generations of Vita's experience are willing to manufacture and stock these luer lock adapters. 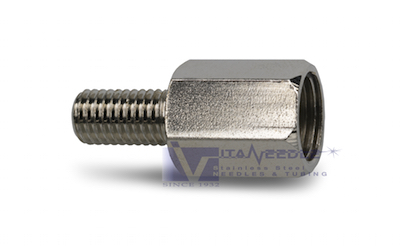 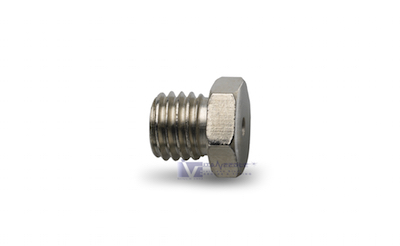 Vita's variety of stock brass and stainless steel, ANSI and ISO 594/1 and ISO 80369-7 TAPER ONLY compliant luer adapters and thread to thread industrial adapters supplements our ability to manufacture to custom specifications. 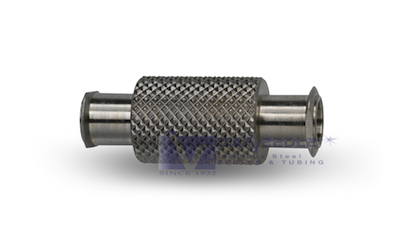 Below is a listing of our standard luers and hubs. 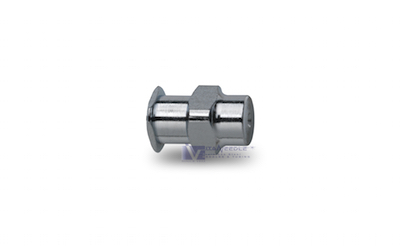 We routinely produce custom luer adapters and hubs in numerous alloys. 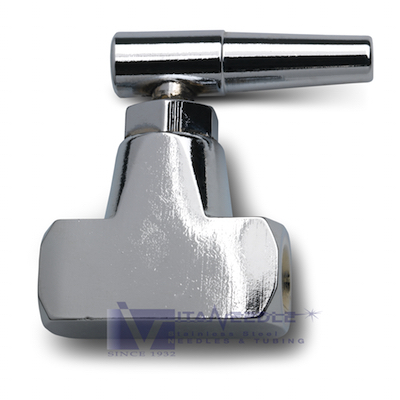 Actual and finished appearances may differ from photographs. 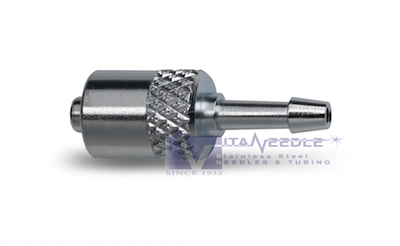 Luers and hubs must be drilled to size to accept cannula, please advise your sales rep of the required diameter when ordering. 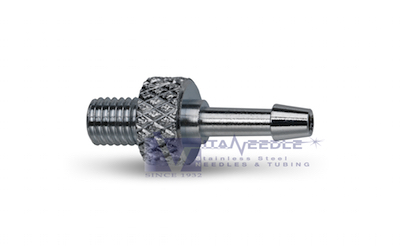 Specifying your final drilled size will allow the proper nose hub to be selected by our sales staff for your application. 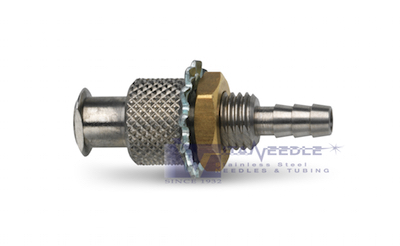 Our extensive line of luer, threaded and barb adapters may be used in conjunction with needle assemblies manufactured with a standard Luer Lock hub (the VN403, 408 or 411) to avoid the need for more costly hubs. 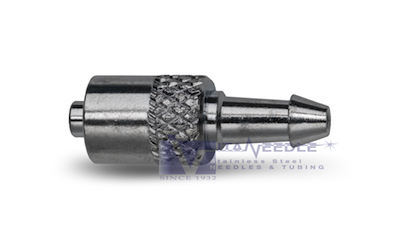 Please click on hub for larger image. 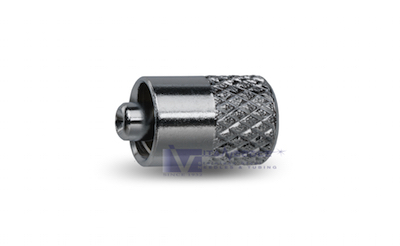 We routinely produce custom adapters in numerous alloys / metals. 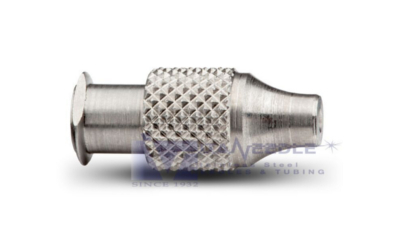 Actual appearance may differ from photographs. 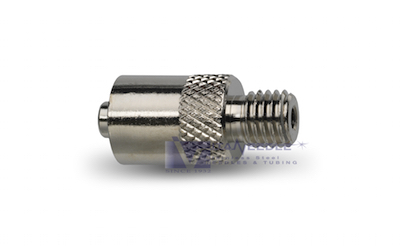 Please click on adapter for larger image. 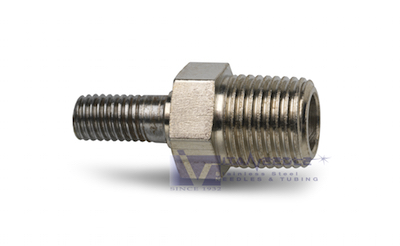 See our custom RFQ page to request a quote on a custom Luer, Hub or Adapter. 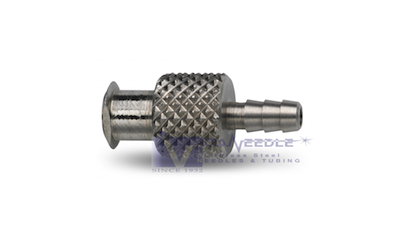 Our sales engineers will gladly work with you to produce the part you need! 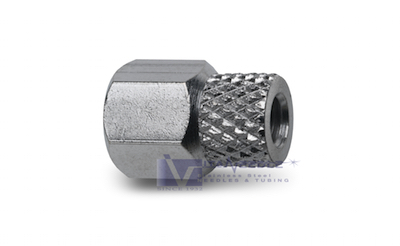 Please click on adapter for larger image.